It can be heart-wrenching to hear that a loved one residing in a nursing facility has been abused or neglected. While many signs and symptoms of mistreatment can be very obvious to detect, quite often they are not. A loved one can be suffering for days, weeks or months through neglect or mistreatment and unwilling or unable to speak out. The Knoxville nursing home neglect attorneys at Nursing Home Law Center LLC have handled many cases of nursing home mistreatment where the resident was too fearful of retaliation and chose to remain quiet. There are not many situations in life that require us to place our faith in others like when families and trust medical professionals to provide care for a loved one in a nursing facility. The family entrusts that the staff will always do the right thing and take the appropriate action every day. When that trust has been broken, it is imperative to take immediate action through aggressive legal response. Out of the 185,000 residents living in Knoxville, approximately 20,000 are senior citizens, many of whom live in nursing facilities throughout the community. The number of elderly nearly doubles when counting the retirees living all throughout Knox County. The limited number of nursing facilities in the area are often filled to capacity, which has the potential of leading to serious problems of abuse and neglect. In many incidences, and overcrowded are understaffed situation can place a heavy burden on the nursing team in an attempt to ensure that all the health and hygiene needs of every resident are continuously met. Negligent and abusive conditions occurring inside a nursing facility often produce incredibly cruel consequences for the resident. Often times, families are shocked to learn that their elderly loved one has been taken advantage of, neglected or abused and that the situation has lasted for an extensive period of time. To provide assistance, our Tennessee elder abuse team of attorneys continuously assess, review and evaluate opened investigations, filed complaints, safety concerns and health violations of nursing facilities all throughout the Knoxville area. This publicly available information is gathered from numerous sources including Medicare.gov. Many families use the information we post as an effective solution for determining where to place a loved one who requires the highest level of health and hygiene care. Others find the data useful in understanding the level of care their loved one is likely already receiving as a resident in a nursing facility. The list below contains information on Knoxville area nursing facilities that currently maintain below standard ratings compared to other homes nationwide. 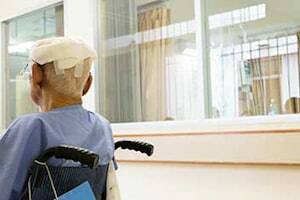 In addition, our Tennessee nursing home abuse lawyers have posted our primary concerns by detailing specific cases involving abuse, neglect, mistreatment, the spread of infection, medication errors, facility acquired bedsores and other serious problems. Our Knoxville nursing home neglect attorneys recognized failing to provide every resident environment free of accident hazards and provide safe equipment could place the health and well-being of the resident in jeopardy. The deficient practice by the housekeeping supervisor and staff at Serene Manner Medical Care might be considered negligence or mistreatment because their actions could cause the resident serious harm. In a summary statement of deficiencies dated 10/21/2015, a state surveyor made a notation during an annual licensure and certification survey concerning the facility’s failure to “use a mechanical lift provide safe transfers.” The deficient practice resulted in actual hard for a resident at the facility. A review of the resident’s 11/20/2014 Care Plan revealed that the resident is at risk for falls due to “muscle weakness, adult failure to thrive, Alzheimer’s dementia, cerebral vascular accident/stroke with right-sided weakness.” In addition, the Care Plan notes that a mechanical lift with two person assist for transfers must be utilized. The state investigator also reviewed the 02/27/2015 Initial 24-hour Report that revealed the resident was “found to have a fracture of the right humerus (upper arm bone) on 02/27/2015.” This was after a certified nursing assistant work at the facility “found [the resident’s] arm in a different position.” At 10:15 AM 02/27/2015 X-ray Report revealed that the resident had “an acute angle or humeral shaft fracture” with “no significant degenerative changes” seen. Our Knoxville nursing home neglect lawyers recognized failing to follow a resident’s plan of care could place the health and well-being of the resident in immediate jeopardy. The deficient practice by the nursing staff that NHC Healthcare – Knoxville might be considered negligence or mistreatment because their actions directly resulted in the resident suffering a broken bone. Our Knoxville elder abuse attorneys recognized failing to follow procedures and protocols and provide adequate staffing will ensure that the needs of all residents are met could place her health and well-being in jeopardy. The deficient practice by the nursing staff that Kindred Health and Rehabilitation – Northhaven might be considered negligence or mistreatment because their actions fail to follow established procedures and protocols enforced by nursing home regulators. In another Pharmacy Consult Report dated 03/24/2015, the pharmacist recommended that a “medication for renal disease should be given one hour before or three hours after other medications and should be given with food” to the resident. Our Knoxville elder abuse lawyers recognized failing to follow the recommendations generated from a pharmacy review could cause immediate jeopardy to the health and well-being of the resident. The deficient practice of delaying a notification to the resident’s doctor of the pharmacist recommendation might be considered negligence or mistreatment of the resident. The state investigator then conducted an 8:00 AM 12/02/2015 interview with the facility’s Director of Nursing who confirmed that “the facility failed to follow physician’s orders for [the resident’s] insulin. Our Maryville nursing home neglect attorneys recognized failing to take all necessary precautions to avoid a medical error when administering insulin could place the health and well-being of the resident in grave danger. The deficient practices of the nursing staff at Blount Memorial Trans Care Center might be considered negligence or mistreatment, especially if the resident suffer serious harm, injury or death as a result.